Pass the sunscreen, San Diego Comic-Con is back! Below you’ll find all the latest DC news and videos, plus links to our panel schedule, cool giveaways and everything else you’ll need to stay up to date. It’s the biggest convention of the year—four and a half days of sweet, super hero bliss. 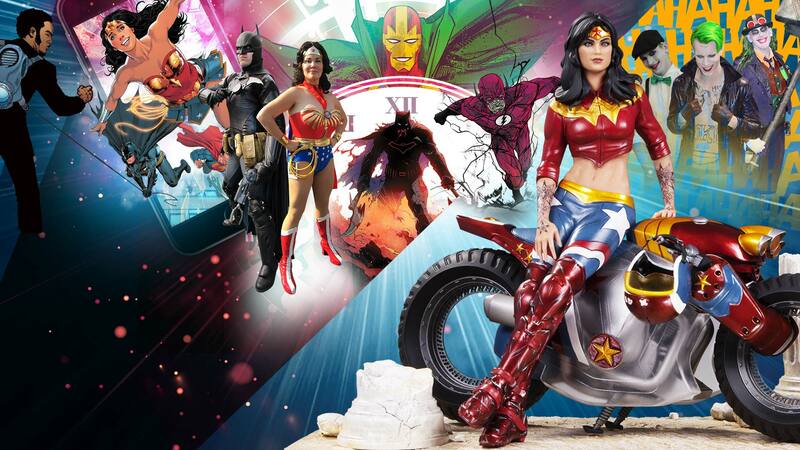 Whether you’re looking for the biggest movies (like the upcoming Justice League), the most binge-worthy TV shows and comics, the toys and collectibles that you absolutely must have or just the most amazing cosplay on the planet, you’ll find it at San Diego Comic-Con. You’ll also find us. Once again, DC is going big, with a full slate of panels, talent signings and stage demonstrations, a handful of amazing premieres and thousands of amazing booth giveaways. But don’t feel bad if you’re not going to be there. We’re bringing you the absolute best of the convention right here on this very page. Look below for articles on the latest news and announcements, videos bringing you the best of the con, photos taken on the show floor and all the info on what we’ll be doing and when. In addition, be sure to download the DC All Access app and follow us on social media. It’s the best way to stay up on news as it breaks!